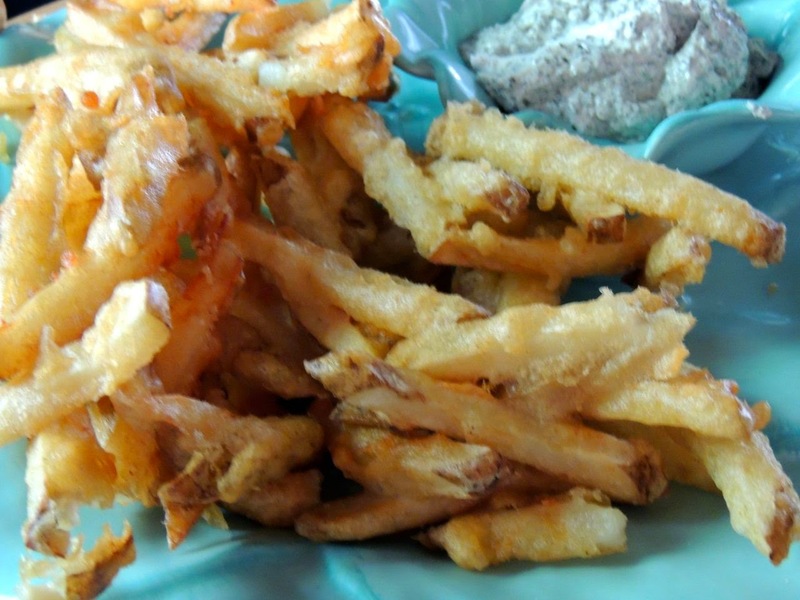 If you've read some of my previous blog posts, you know how much I love beer battered chips. My husband and I visited Australia this past December, and we ate beer battered chips every chance we got. For those of you who don't know, "chips" are what those in England and Australia call "fries." Or, those of us in the U.S. say "French fries" instead of "chips." Who's right and who's wrong is not for me to decide; all I know is that the beer battered variety is amazing. Spread out the wedges on a cookie sheet so that they're in a single layer and place the cookie sheet in the freezer. 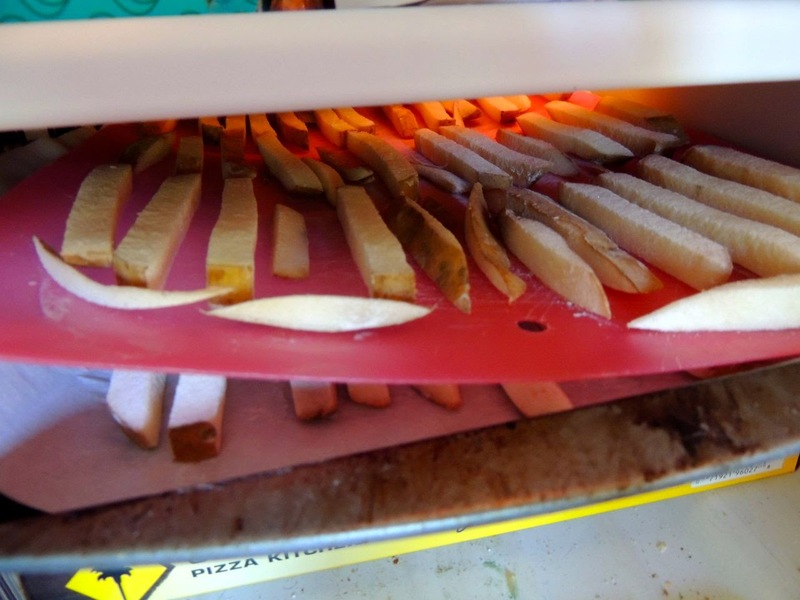 You may need more than one cookie sheet, or you could put parchment paper between the layers of wedges to keep them from sticking together. Freeze for at least 2 hours but longer is fine. I've frozen them overnight before. 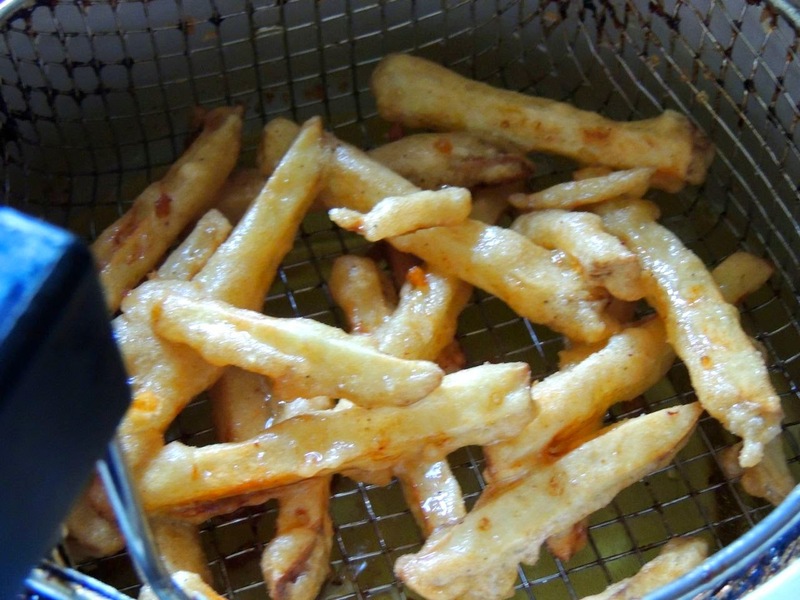 Heat up the oil in your deep fryer. Meanwhile, put one cup of flour in a large bowl. (I use bread pans because they're the perfect size and shape for chips.) 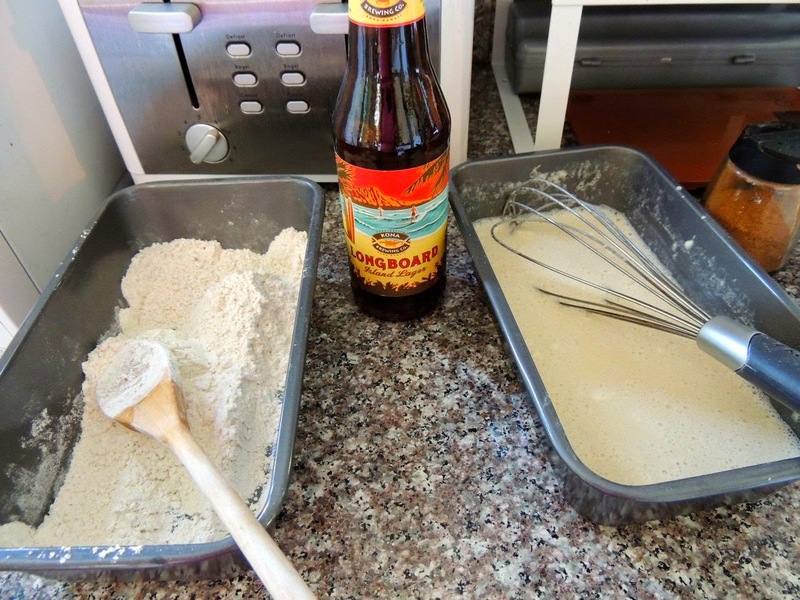 Add the beer and mix to combine. Put the remaining cup of flour in another large bowl (or bread pan). Add TexJoy to taste. I probably add a couple tablespoons but it depends how spicy I want it. Then remove the potatoes from the freezer. Add the frozen potato wedges to the bowl with the flour and TexJoy mixture, and stir to coat the wedges evenly with flour. Transfer the wedges to a serving platter to eat immediately, or place them on paper towels on a cookie sheet and keep warm in your oven set to the lowest temperature (probably 170). 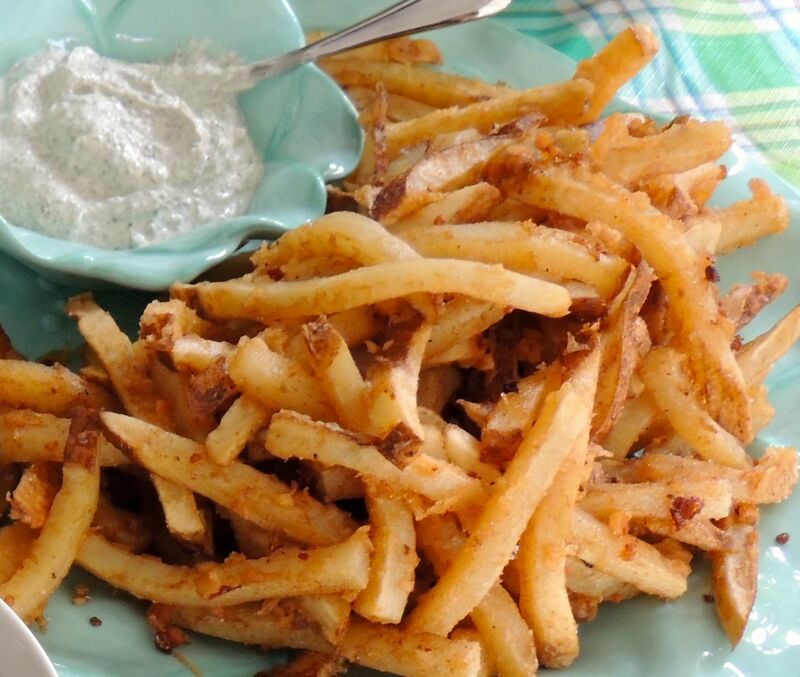 Sprinkle the wedges with sea salt and TexJoy while they cool. Make sure you don't put a new batch of hot greasy wedges on top of a batch of wedges that has been cooling for awhile. If you do that, the wedges on the bottom will get soggy. Put new batches next to older ones to allow excess grease to drip off before lumping all the chips together for serving. 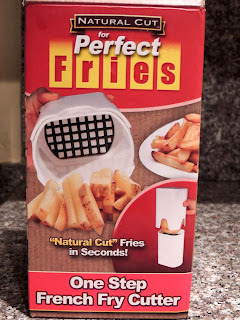 When I was trying to find a recipe for beer battered chips, most recipes I found said to microwave the wedges before freezing them. By accident, I discovered that the microwaving part isn't necessary. We forgot to microwave them first, so we decided to see if the frozen wedges would still fry through without getting too greasy. They were prefect. The reason you need to freeze the wedges is that it helps the flour and batter stick to them better. I know it requires some planning ahead and quite a bit of space in the freezer, but it's worth it. Otherwise, you'll have great chips (or fries) but they won't be beer battered. 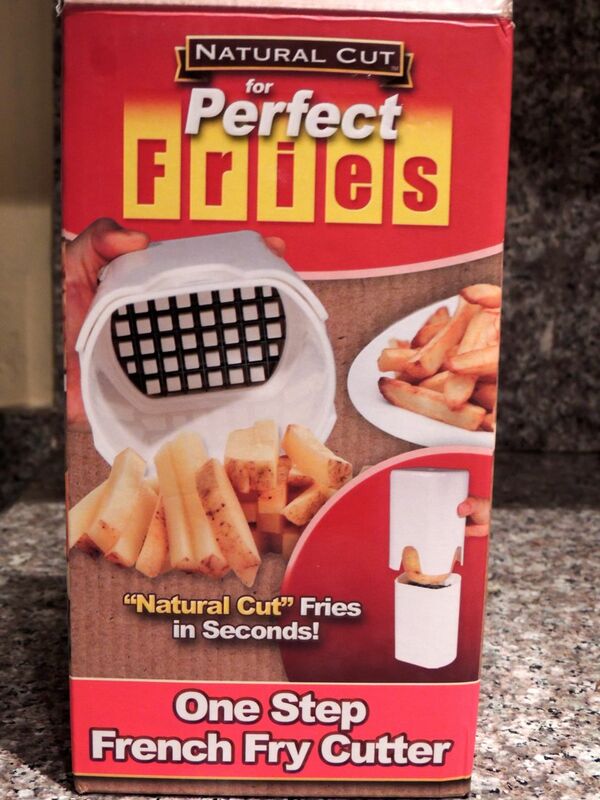 If you want an easy way to chop up the potatoes, may I recommend this nifty gadget pictured to the right. It makes the process very easy. I got mine at Bed, Bath & Beyond. Warning: these are addictive. Not good for diets. Great with grilled food or your favorite meat. Most notably, we made these for Easter dinner this year. We decided to have an Australian themed meal, so we made beer battered chips, a leg of lamb and a salad. I've mentioned in other posts that when we were in Australia a lot of the meals we had consisted of chips, a salad and some kind of meat. It really is a great combination. The fries are amazing and addictive on their own, but they're also delicious with your favorite dip. There's a rosemary dip that we made to go with the lamb, and we ended up eating it with the fries too.